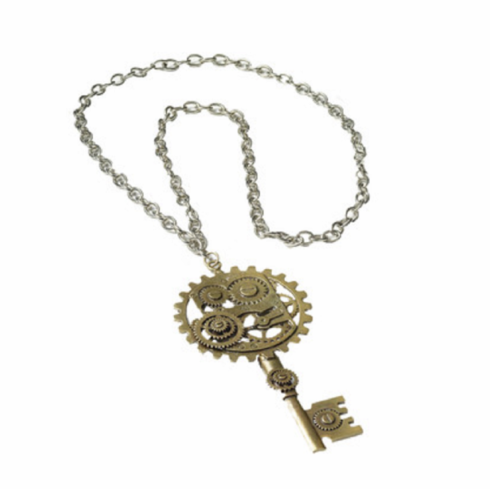 Attached gears decorate this gold colored key shape pendant necklace. Not a toy, meant for an adult. This Victorian era jewelry lets you pep-up your Steampunk outfit.